WOW-POW = World Of Wonderful POWer: Sony Z11 with Core i7 2.66GHz CPU, 4x 128GB SSD in RAID 0 test drive! Sony Z11 with Core i7 2.66GHz CPU, 4x 128GB SSD in RAID 0 test drive! 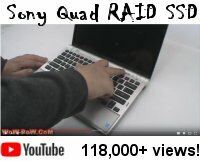 Sony Z11 with Core i7 2.66GHz CPU and upto 4x 128GB SSD in RAID 0 (Quad RAID)... we took some for a test drive. 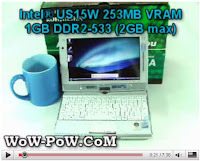 as you'll see from our videos, this is a very impressive Sony Laptop.